If you happen to be up and going around 5:30 in the morning Monday - Friday and out on the trails of the Dreamy Draw Mountain Preserve, you'll probably come across a group of extremely dedicated bootcampers. The Phoenix Adventure Bootcamp to be exact. This group is a tight knit bunch, some would almost describe them as a family. Not by birth but family by blood, sweat, and tears! Formed through a bond of blood, sweat and tears, this family is lead by the owner of Phoenix Adventure Bootcamp, Tammy Kaatz. Tammy, a veteran of the us navy, started Phoenix adventure bootcamp in 2003. 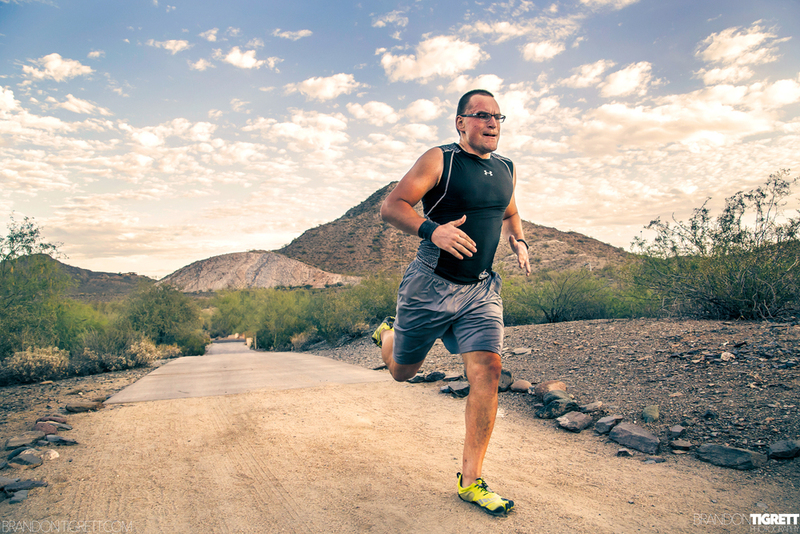 This has made them the longest running outdoor fitness program in the Valley. This was actually the first bootcamp of its kind here in Phoenix. The class is made up primarily of strong women, most of them mothers who in order to find the time to workout, get up before the sun every day of the week. This is a task I struggled with at first. But after the initial shock to my system subsided I was in awe over the pure beauty of our city as the sun rises! Once out the door, roughly by 4:45am, I headed to our location. The dreamy draw mountain preserve. Unfortunately I got there before the city officials so I was met with a locked gate. A locked gate, and a line of bootcampers patiently waiting in their cars! After being granted access we took the winding road to a small parking lot at the base of the trails wich would be our location for the shoot. 5:30 hits and they're off to the races! Class had begun with warm up sprints through the lot and then up the trails and back. After that the bootcampers stretched it out on their yoga matts before being grouped off and assigned their start position in the circuit. For the next hour the athletes pushed through a grueling circuit of exercises consisting of med ball slams, dumbell push-up rows, dumbell squats, band face pulls among a few others. Following the circuit were a few minutes of planks! A personal favorite exercise of mine ;) And to finalize their pain.... Non other than sprints up and down the trail! I have complete respect for these bootcampers. I started sweating just photographing their pain! Though this could also be attributed to the Arizona summer heat. Yes even an hour after sunrise it gets flipping hot! Here's the group all together.
. They offer motivation, excellent coaching, and the tools you need to lose weight and have fun doing so!